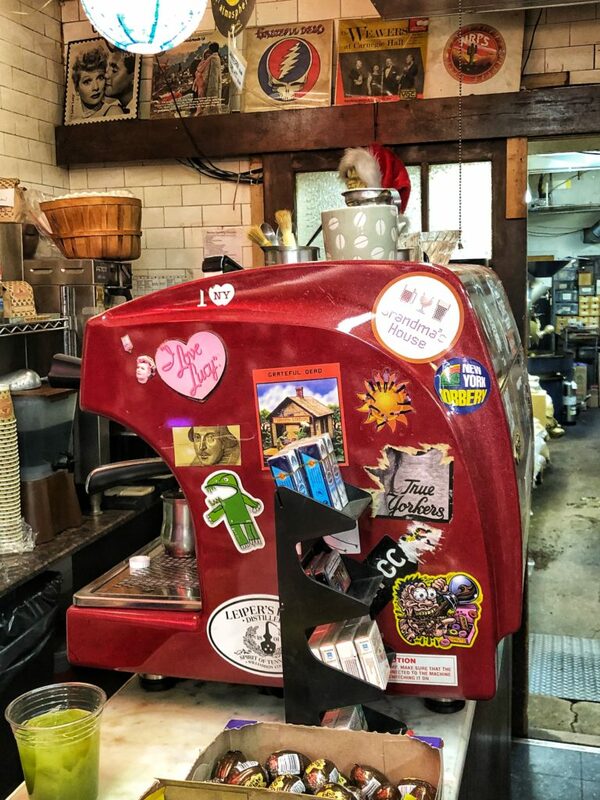 This article is Heart & Soul of the Village Foodie Tour. 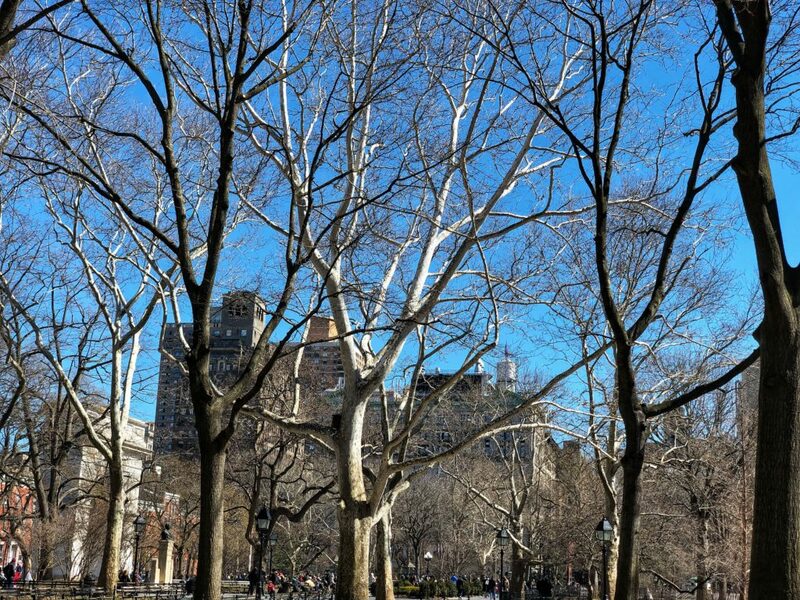 It is an overview of my experience going on a foodie tour in the Village in New York. The foodie tour is part of my New York Weekend Adventure. 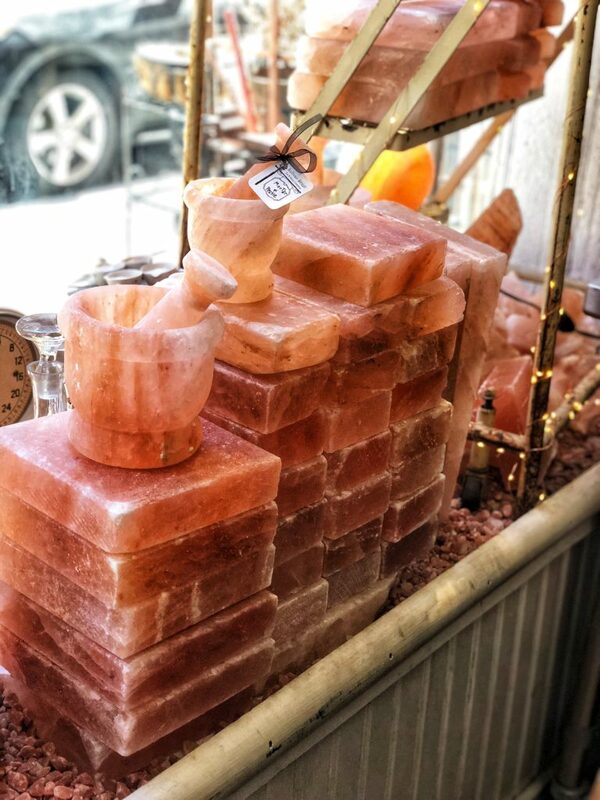 The Heart & Soul of the Village Foodie Tour is hosted by Foods of New York Tours. 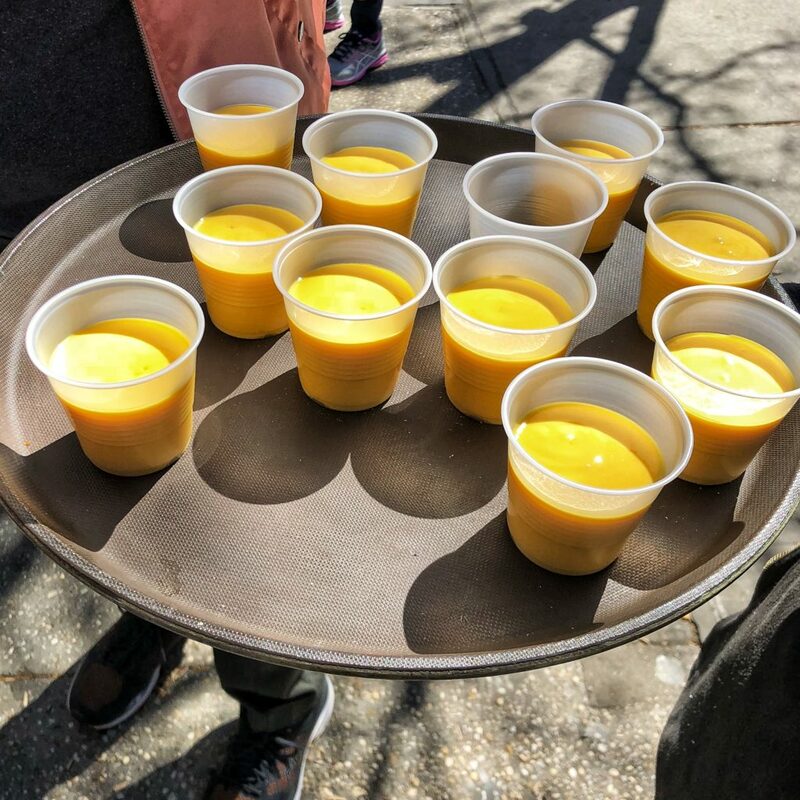 The Heart & Soul of the Village Foodie Tour is a Cultural Walking Tour that is hosted by Foods of New York Tours. 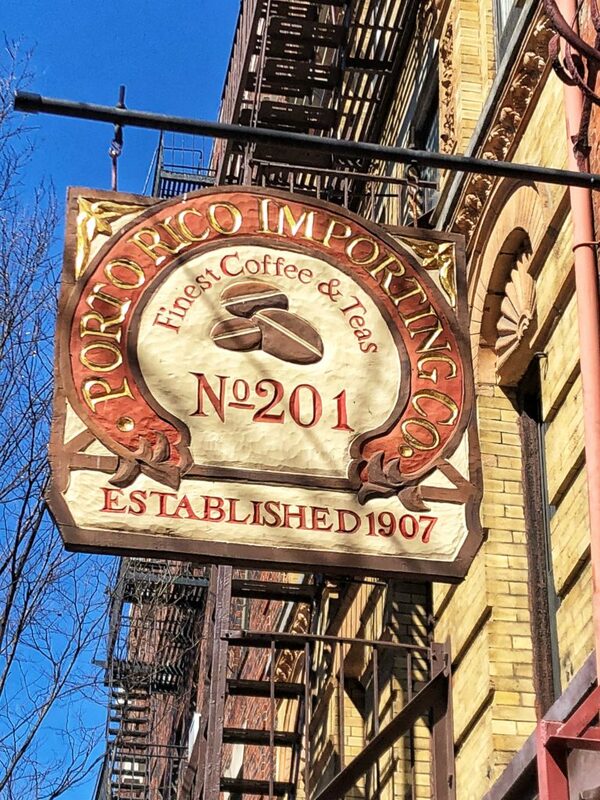 Foods of New York Tours has been around since the late 90’s when they hosted food tours before they were a thing. 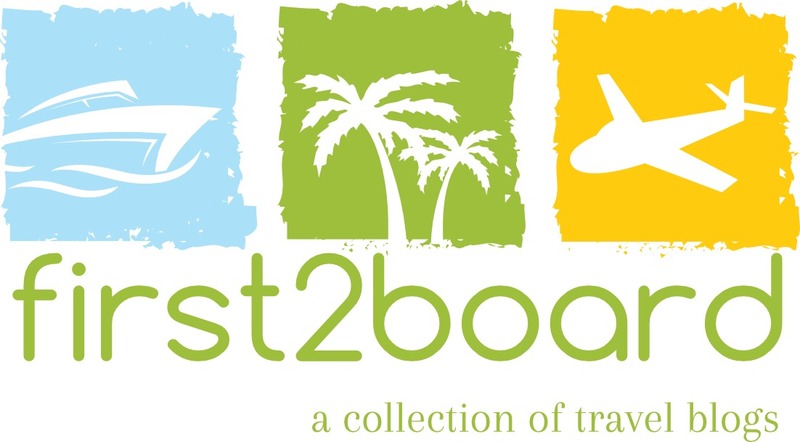 The company has perfected the experience by partnering with unique local eateries to provide an incredible experience at a low price. The tours can easily replace one or two of your meals for the day and you learn so much information about the city. 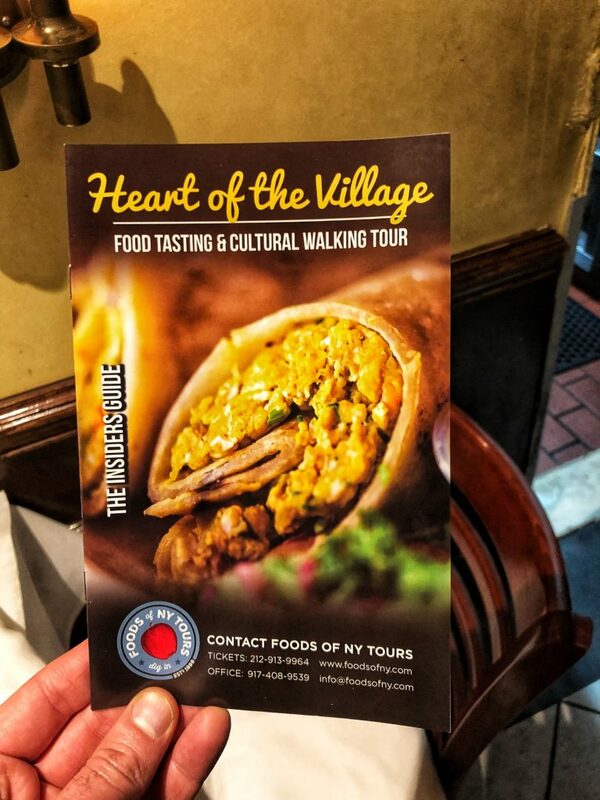 The Heart & Soul of the Village Foodie Tour can be booked online for $54. 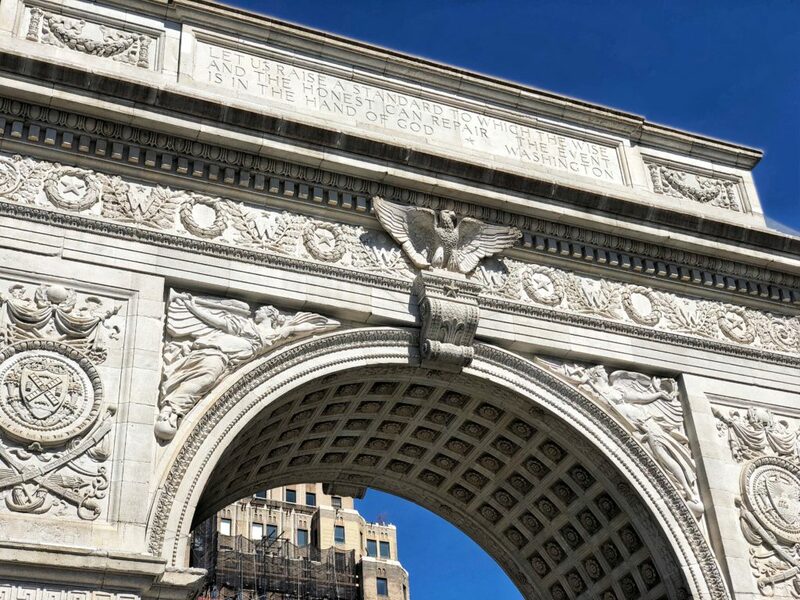 For this experience, my guest and I were provided a complimentary tour thanks to Foods of NY Tours and New York. 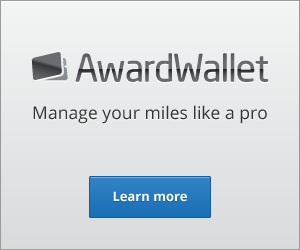 The views expressed in this review are my own. 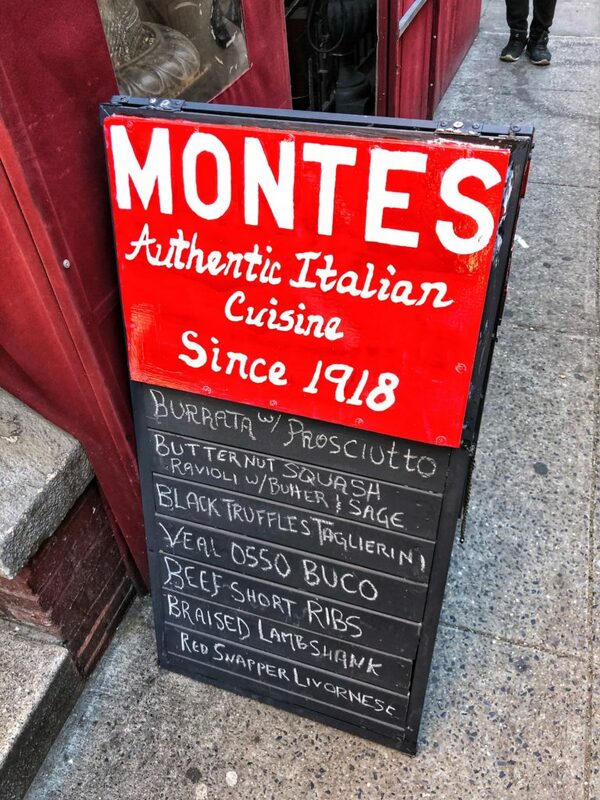 The Heart & Soul of the Village Foodie Tour started at Monte’s Trattoria where the group got to spend a few minutes getting to know each other. The tour guide was a former chef mother that had a wealth of knowledge about New York and the Village. The chef tour guide provided water bottles for all the guests and presented a guide which highlighted restaurants within the area. The guide also had a page of coupons that could be used after to save money at many of the locations in the tour. The restaurant was a starting point and the chef leader said we would return for a plated meal later in the tour. There were about 15 guests who participated in the tour that day. After the introduction was complete, the tour guide invited the guests to follow her throughout the Village. 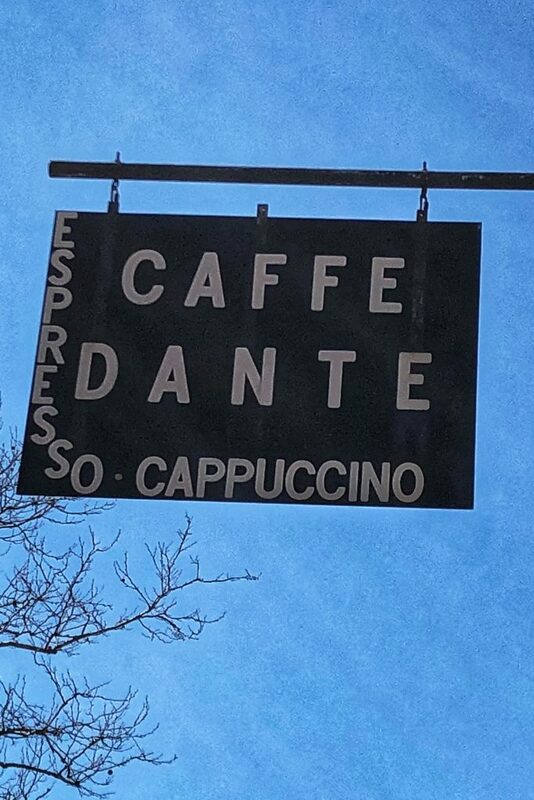 The first stop on the food tour was Caffe Dante. 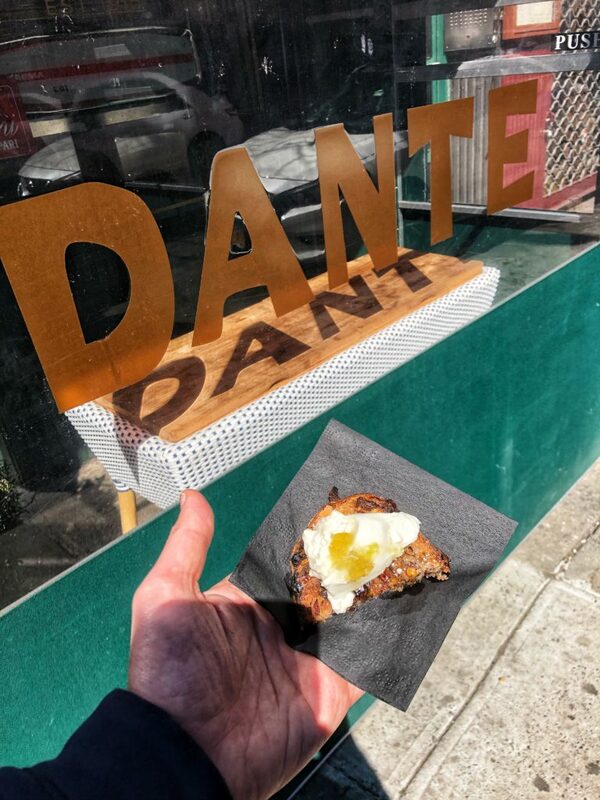 Dante’s is a great spot for drinks and awesome food. 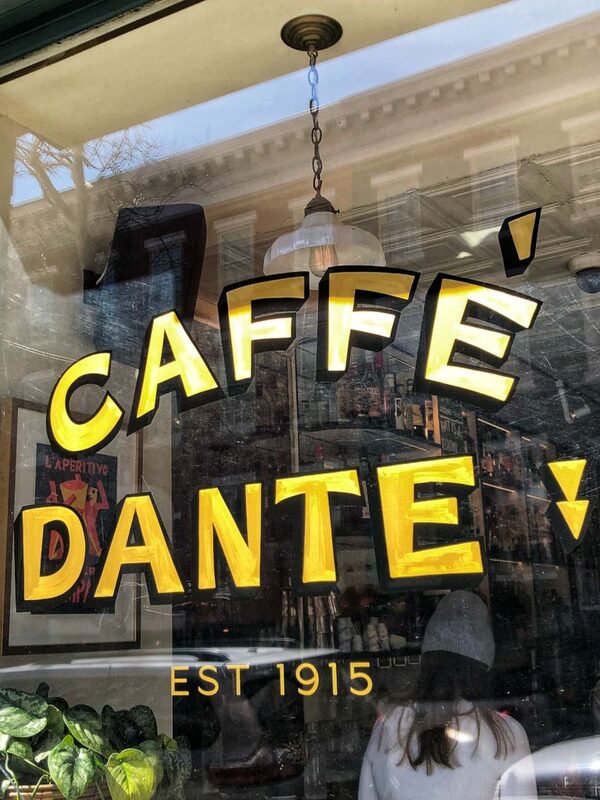 Caffe Dante was a Village staple which started in 1915. It recently changed owners. The new owner stayed true to the village and kept the historic name and decor but improved the food into a gourmet experience. 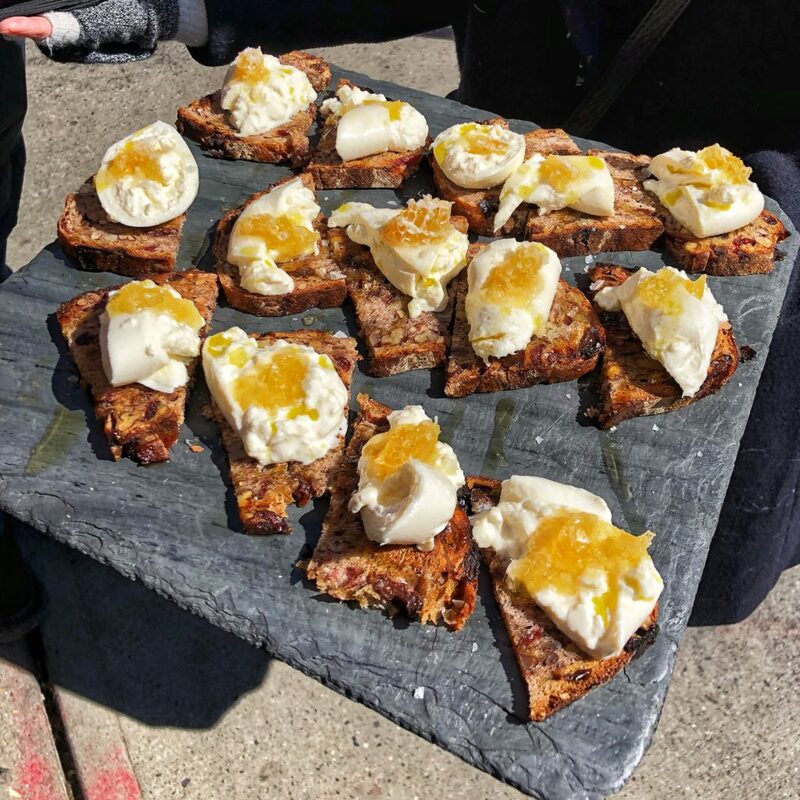 We sampled fresh burrata cheese with a jam on top. which was served on toasted bread. The burrata cheese was rich and creamy. The cheese was smooth and was seasoned well. The jam on top was sweet and it added another flavor element that was excellent. The dish was an excellent introduction to the tour. 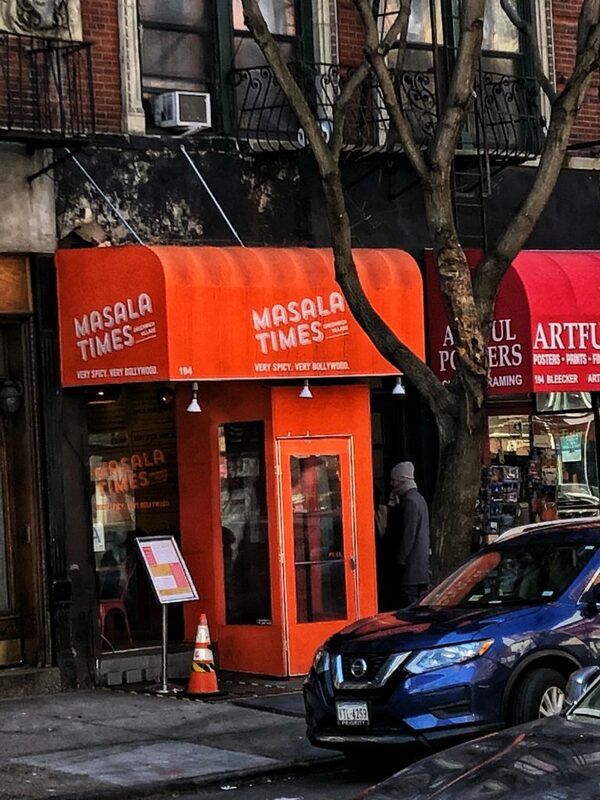 The second stop was Masala Times – Indian Street Fare. The restaurant is a tribute to everything Bollywood. The tour guide had us stand along the sidewalk across the street while she went inside to get the food tastings. We were given a sample of mango lassi and a breakfast wrap. 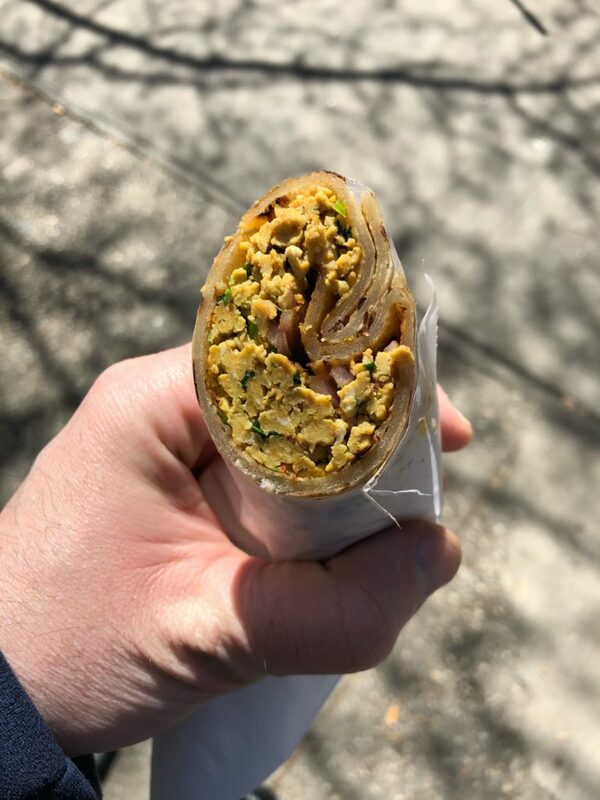 The breakfast wrap was made with egg and it was wrapped neatly with vegetables and seasoning. The wrap was excellent and it had a nice flavor profile and was mild. The mango lassi was served chilled. The mango lassi was creamy and it had a sweet mango flavor. It was nice to see that the tour guide got an extra wrap and mango lassi to give to an older gentlemen that appeared to be homeless. It was a nice touch I thought to help someone in the community like that. The third stop on the tour was Porto Rico Importing Company. 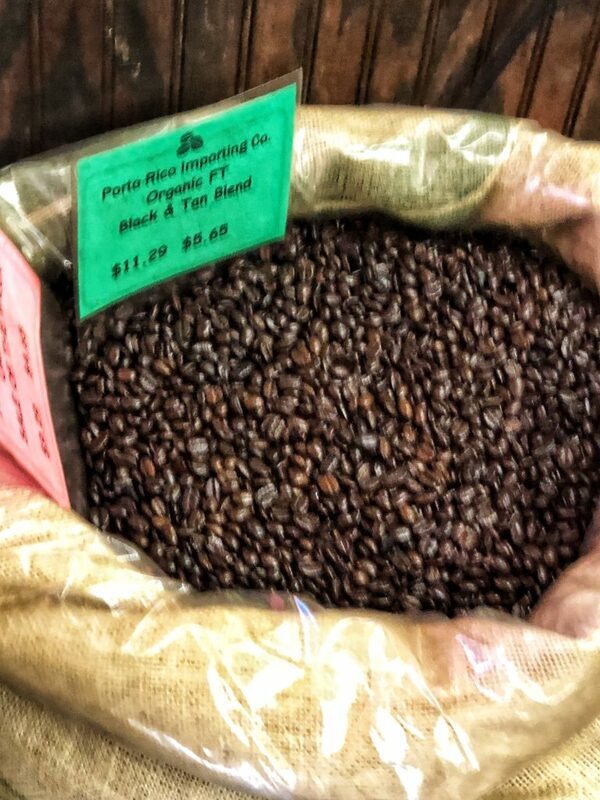 Porto Rico is an awesome coffee spot that freshly roasts coffee. 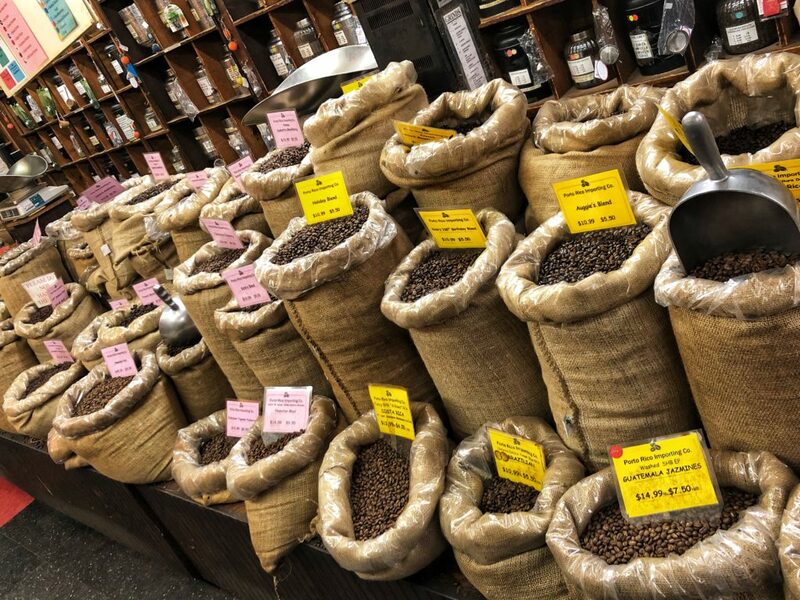 The store was filled with amazing scents of the various coffee beans from throughout the world. 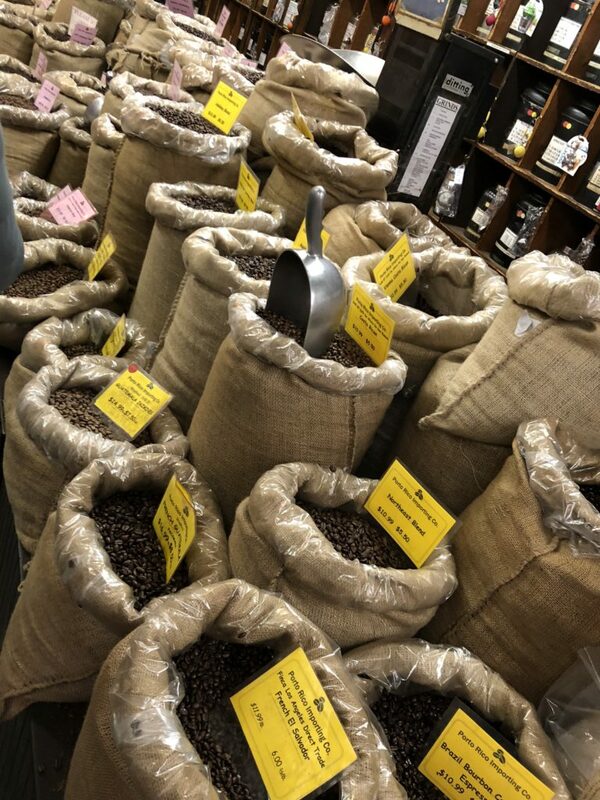 The store allows you to select a type of coffee, and you can get a sample glass of it freshly ground before you decide which coffee beans to purchase. This is a unique experience and I was amazed by all the different bean offerings. The tour guide led us through the store where we could see the beans and the coffee bar at the back. 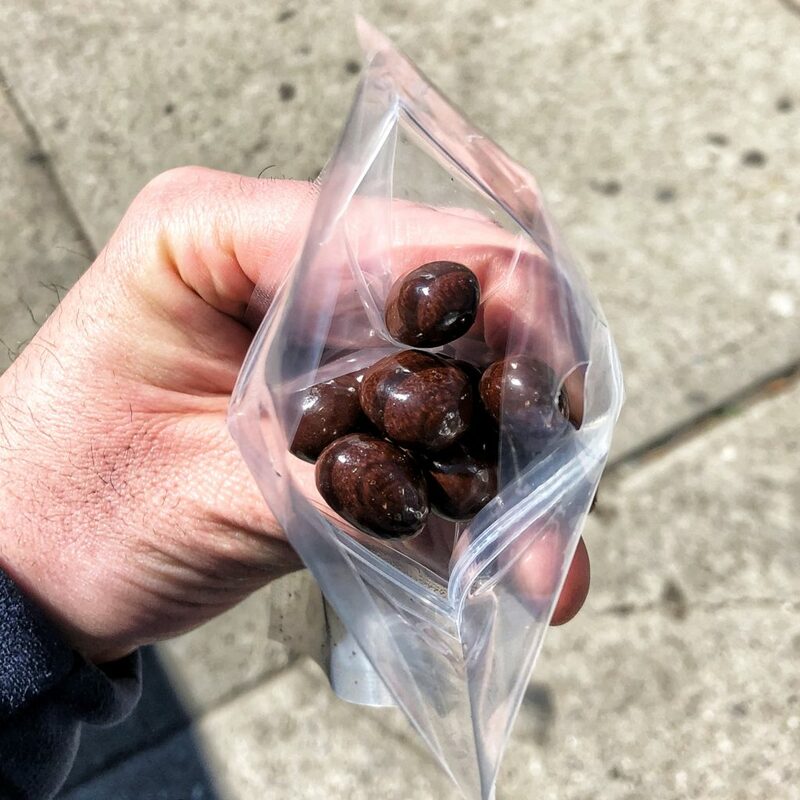 We were given a small bag with espresso beans that were dipped in chocolate. The beans were flavorful and the chocolate was excellent. 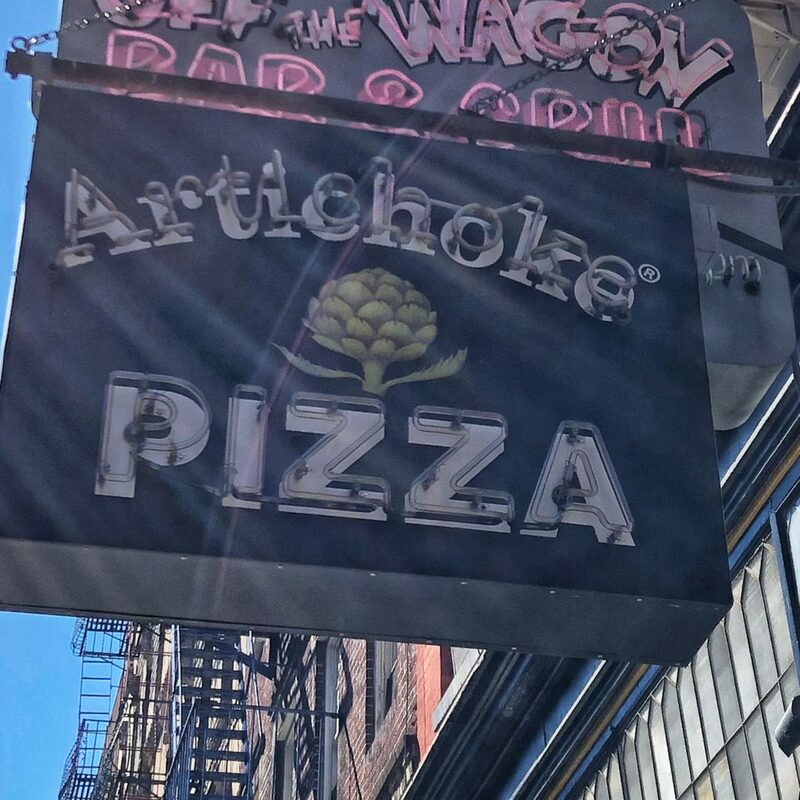 The next stop on the tour was Artichoke Pizza. 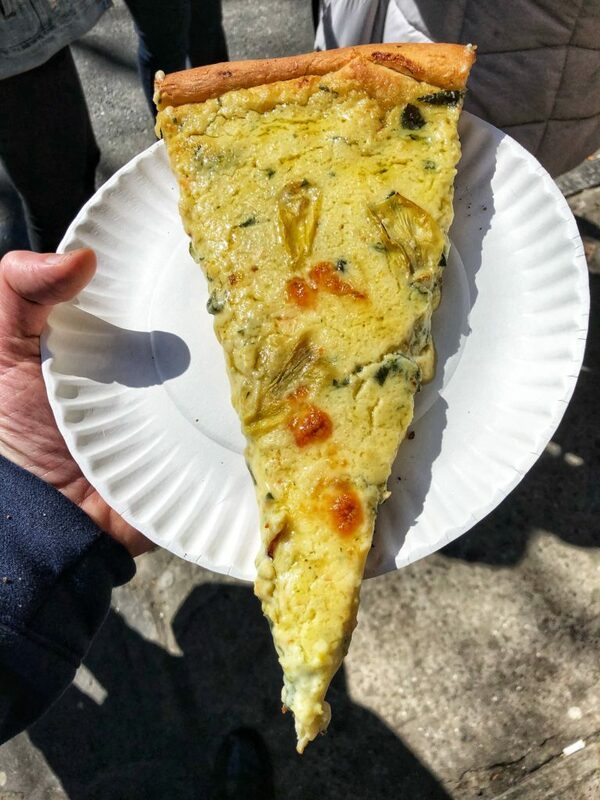 Artichoke Pizza is a Staten Island cousins pizza venture that offers gourmet pizzas by the slice or pie. The restaurant is popular with the bar crowd and offers some amazing slices. 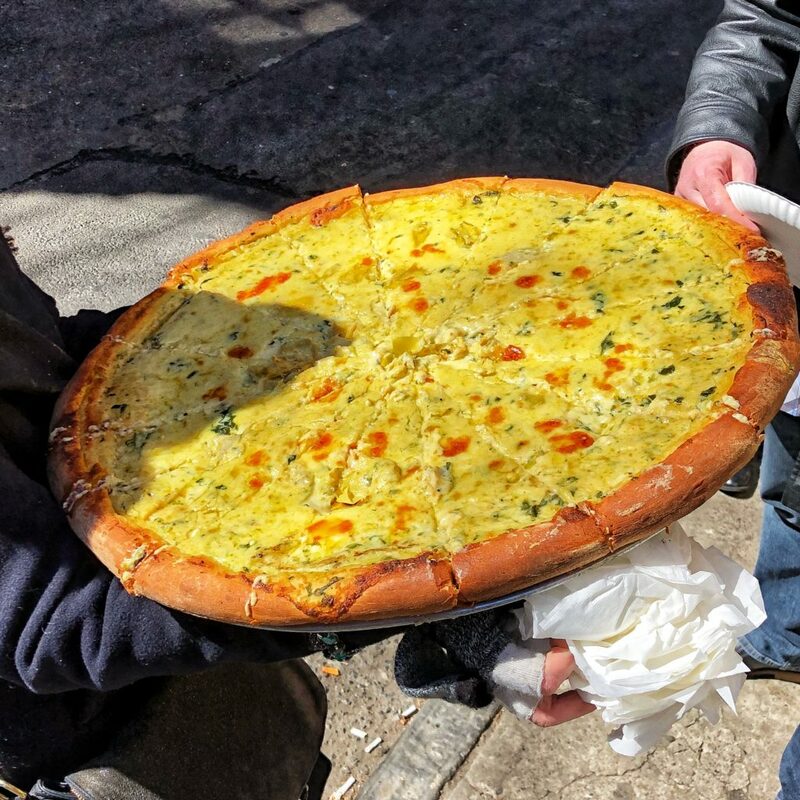 We were given a sample of the famous Artichoke Pizza. The tour guide brought out a very large pie which was cut into half sized slices. Each slice was very large and it is amazing that the regular size was double. The dough was excellent and the pizza was topped with a white sauce with artichoke. The pizza was incredible and it was awesome that we got to try it. After Artichoke we walked back to Monte’s Trattoria. 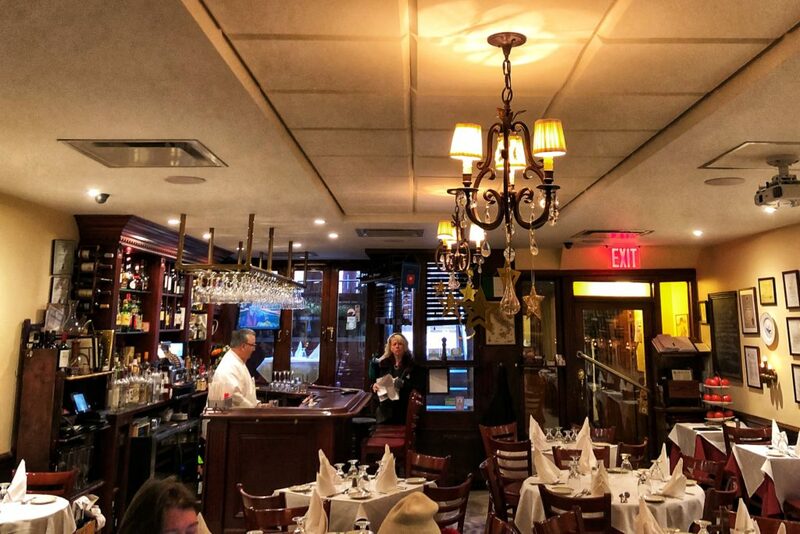 The restaurant is a classic family Italian restaurant that reminded me of the ones in Little Italy. 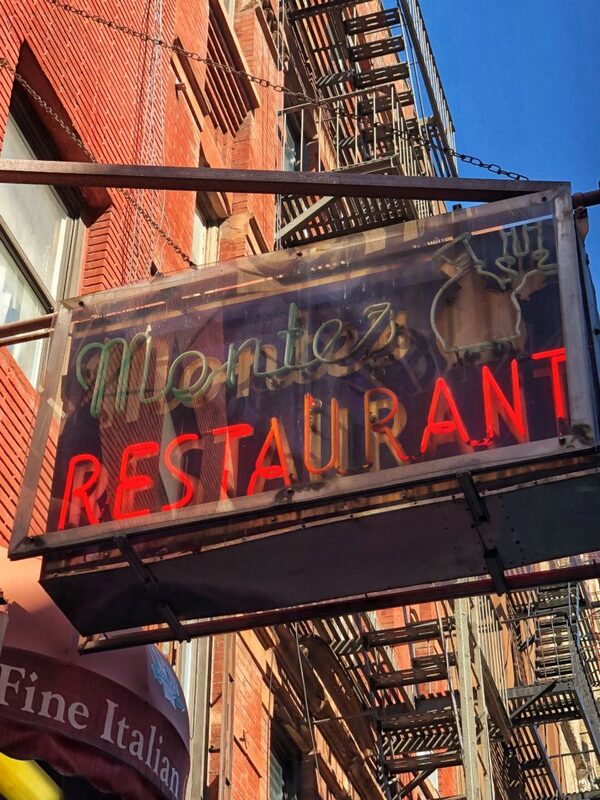 Monte’s has been family owned and operated since 1918, which explains why it feels like it was in Little Italy since at the time, the West Village was part of Little Italy. The tour group was able to sit at the back of the restaurant. The server greeted each table and offered wine or beer. The drinks were not included in the tour. 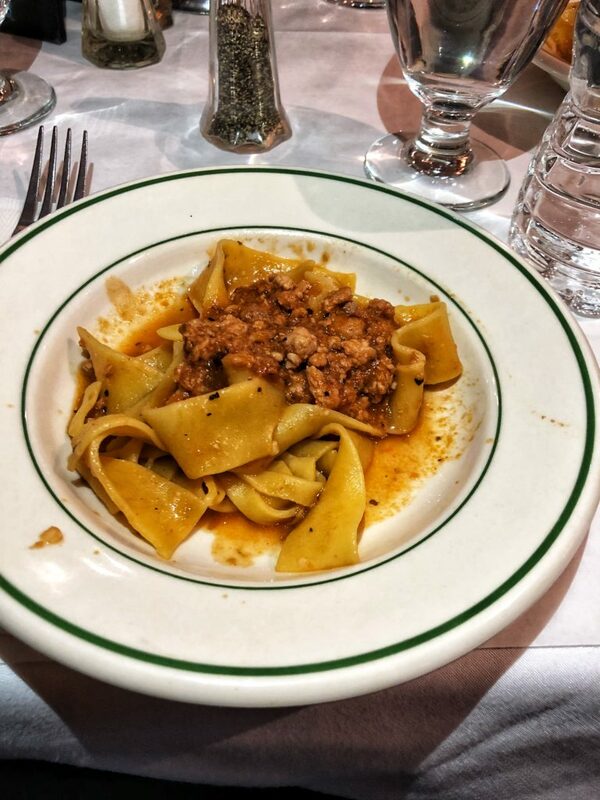 The restaurant also provided pasta bolognese. The pasta was a meat red sauce that tasted freshly prepared; however, it was nothing spectacular. The dish was a bit underwhelming and it was surprising since most New York restaurants are excellent. The tour spent around 20 minutes at the restaurant. 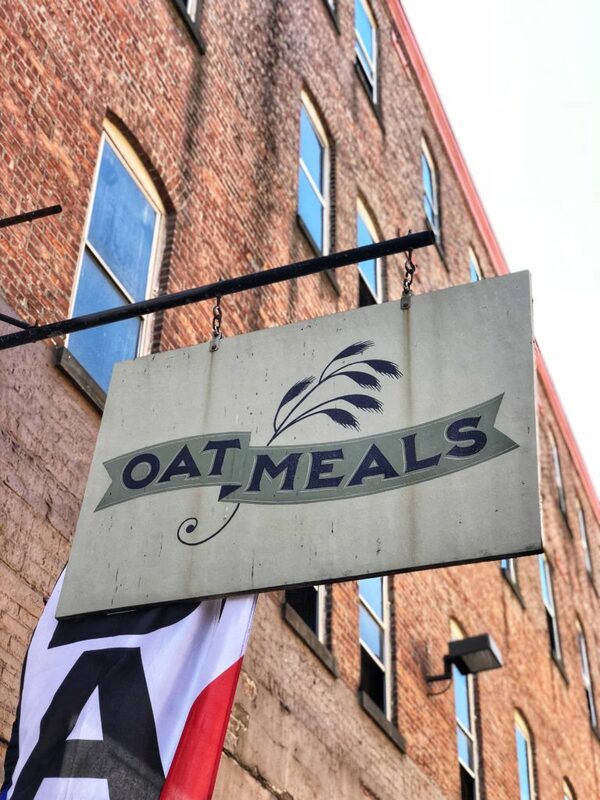 Oatmeals was the next stop on the foodie adventure. 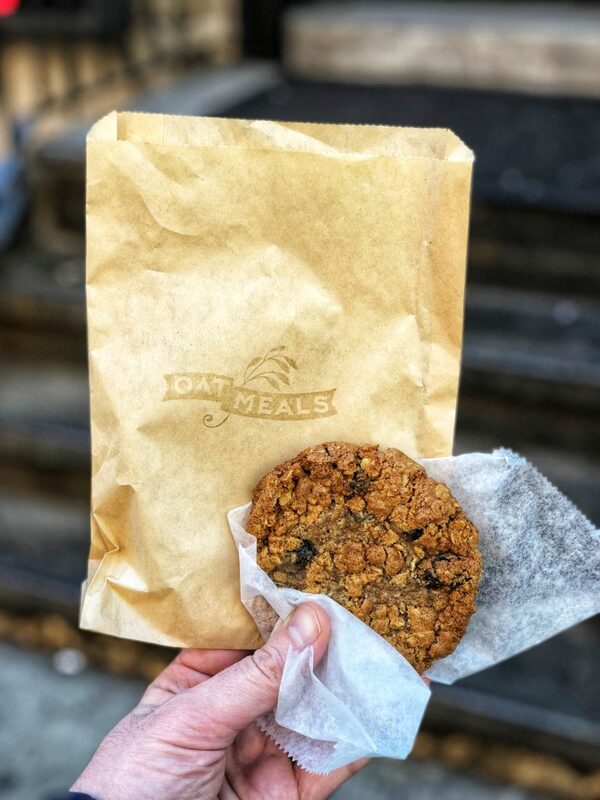 The restaurant Oatmeals is a unique spot dedicated to oatmeal! 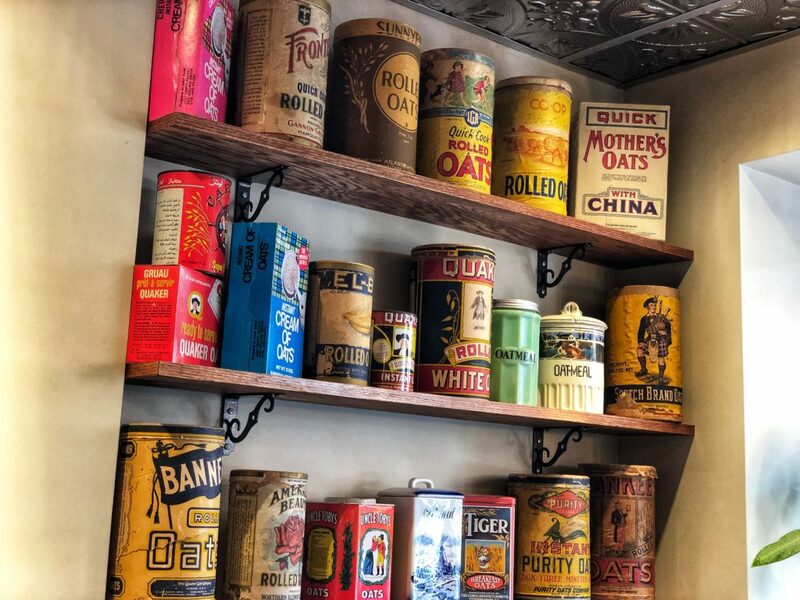 The inside is decorated neatly with old oatmeal cans and other unique furnishings. The tour guide explained that she used to hate oatmeal; however, when she sampled the oatmeal with bacon and bourbon it opened a whole new light. The restaurants call to fame was offering the worlds first oatmeal bar where you can get your preferred toppings. 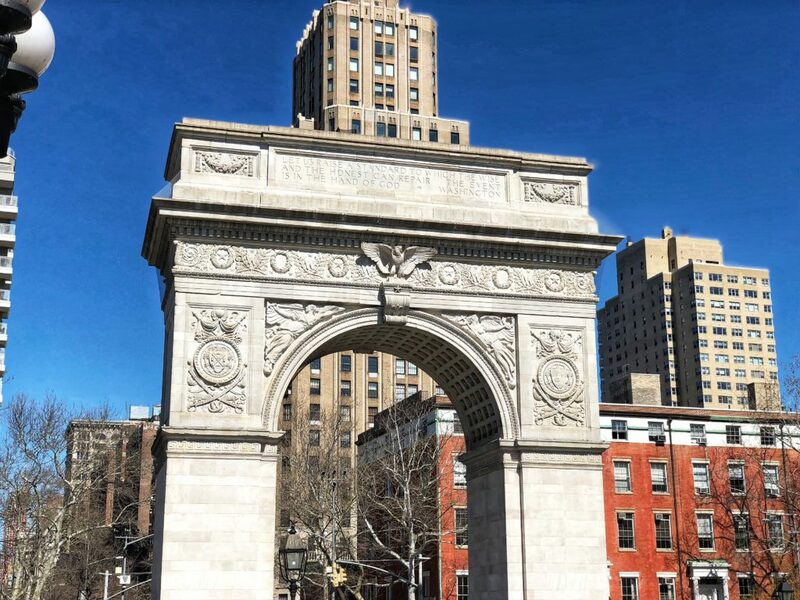 We were given an oatmeal raisin cookie to eat while we walked to Washington Square park. The tour guide gave a history of the park as well as the tragic love story surrounding the creation of the tower. The tower was designed to have a private room to romance the ladies. One of those ladies got caught up in a love affair that caused a big fuss. It was a story like the Kardashian’s of today. The group headed to Sullivan Street Tea Company. 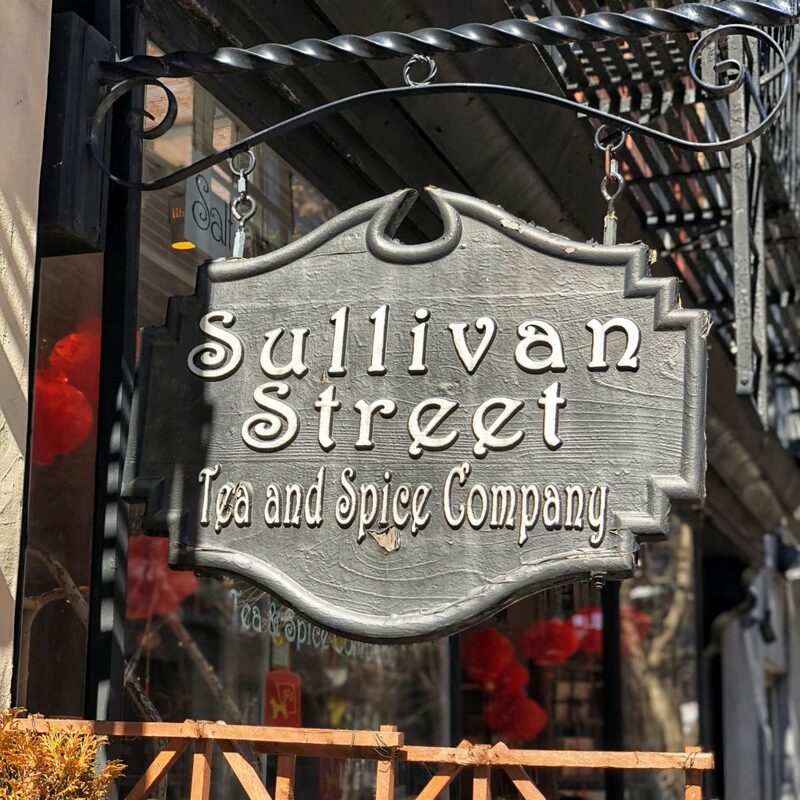 The cool fact about this tea shop was that it used to be a mafia hang out. 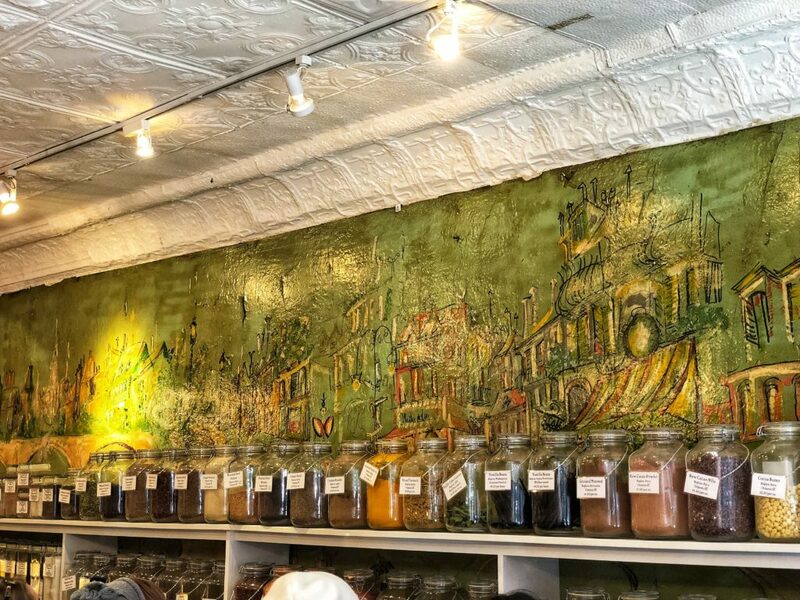 Within the store, a wall mural from the days of the mob is still present, which is the highlight of the experience. 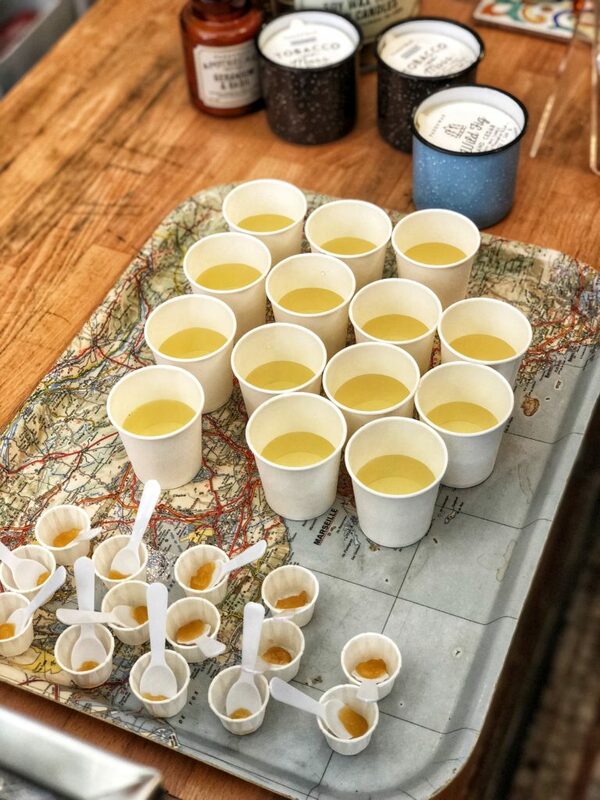 The tour guests were given a sample of green tea and honey. The tea was warm and it light in flavor. The honey was sweet and had an excellent taste. 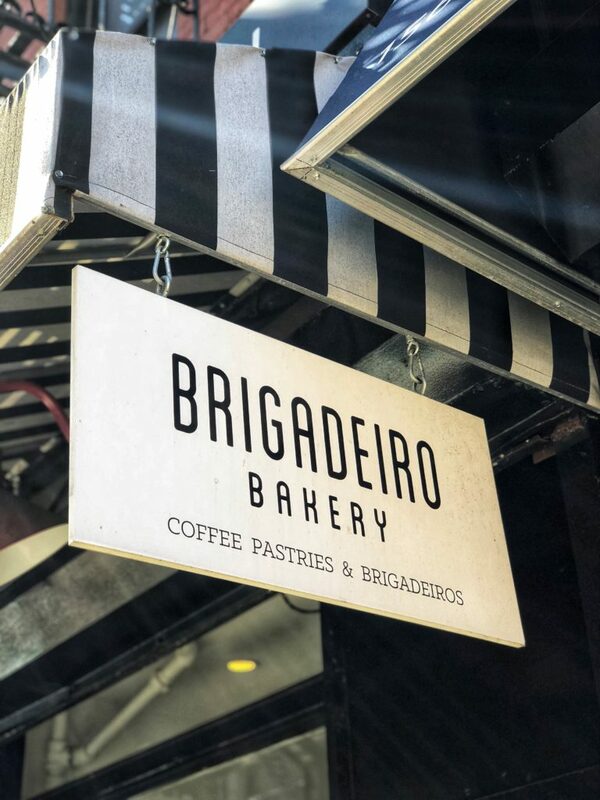 The final stop was Brigadeiro Bakery. 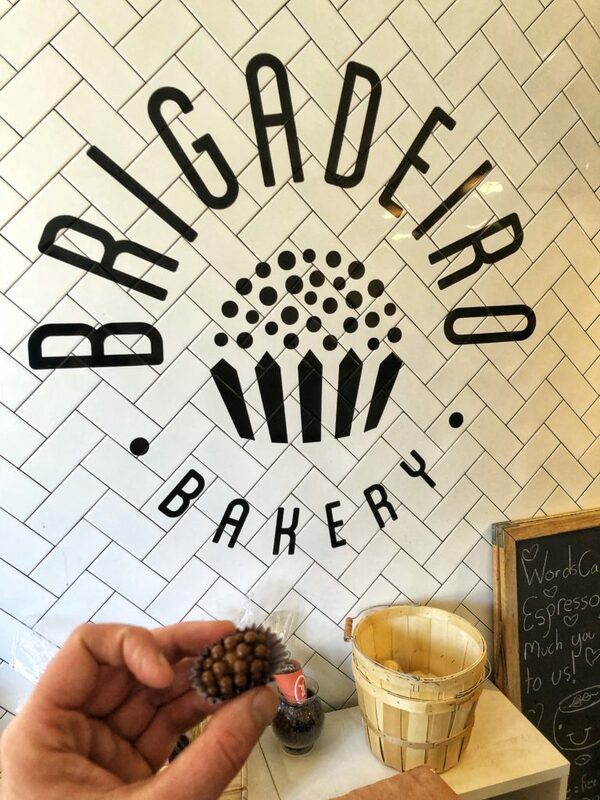 Brigadeiro is a Brazilian sweet shop that serves truffles and other delicacies. The highlight is their lovable truffle-like chocolate balls. Guests were invited to go inside to look at the small shop and select a sweet. I selected a salted caramel one. The caramel was sweet and the chocolate was rich and flavorful. The treat was an amazing conclusion to the foodie tour. I had a great time on the Heart of the Village Foodie Tour. The tour guide was an awesome chef mom who knew all this awesome information about the West Village. She seemed happy to be educating the guests on the restaurants and area. The food was very good overall. The most impressive thing was the portion size from the foods. 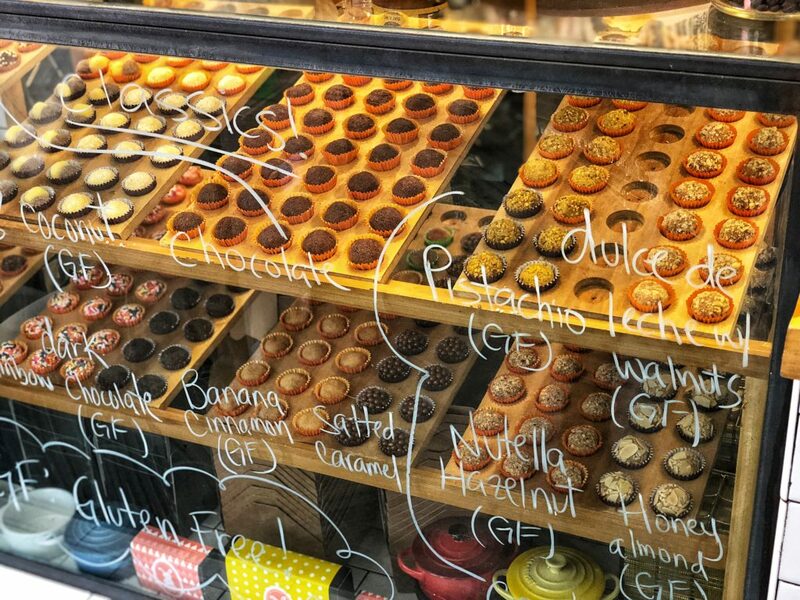 Most of the time on food tours, you just get some bites at each place. This tour could almost replace two meals for you and it gave an awesome overview of the foods in the village. All in all it was an awesome experience with Foods of NY Tours.